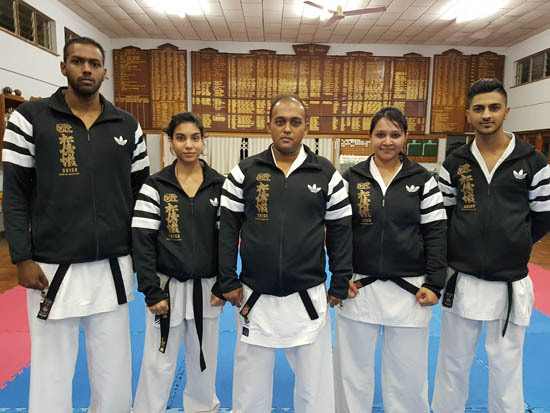 All four KSA national champions who are currently the SA Universities all styles champions of 2016 is firmly focussed on winning the world champion title “We are going for gold in Portugal “said the very excited Theo Pillay senior member of the team. 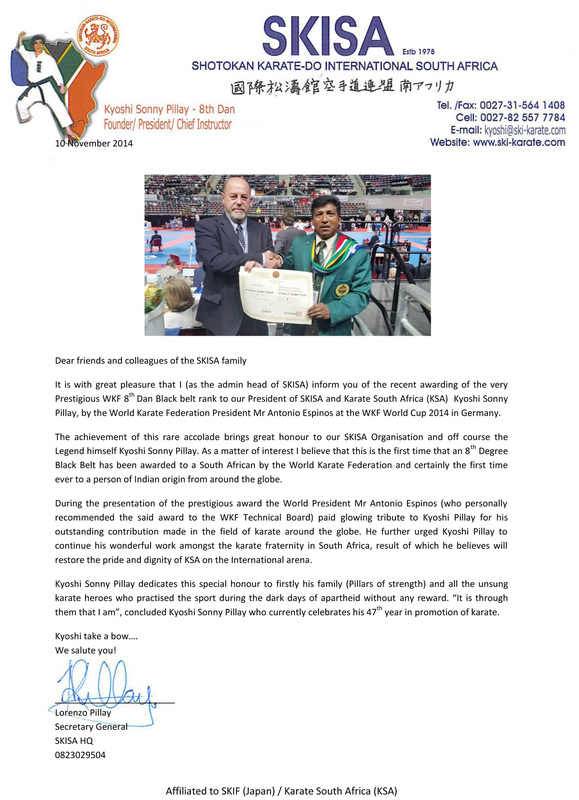 President of KSA the national fed. 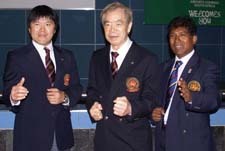 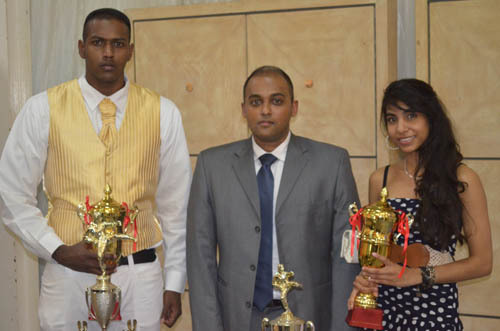 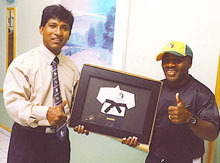 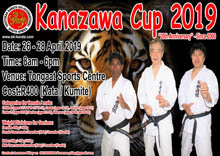 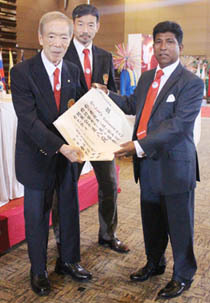 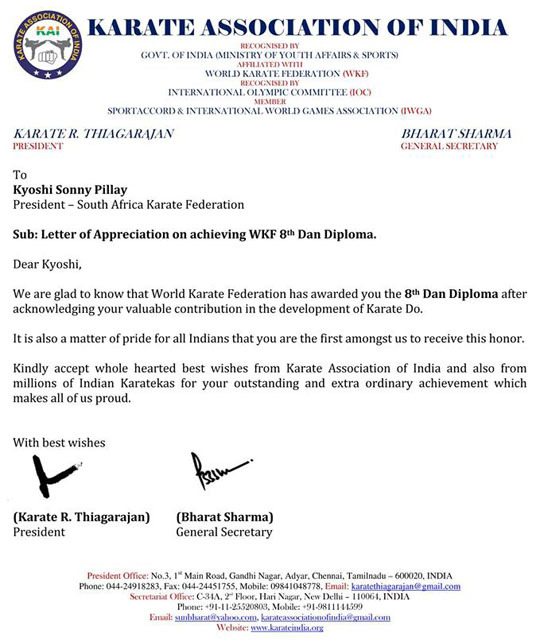 for karate in South Africa expressed his optimism of the USSA team selected to participate in the WORLD UNIVERSITIES GAMES “I am confident that Theo and the other members of the team will bring glory back to our Rainbow nation with extraordinary performances in Portugal “said the karate legend of South Africa Hanshi Pillay. 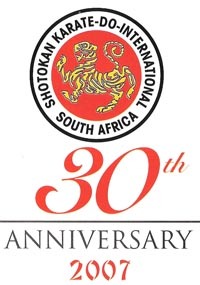 The three day event takes place from this Friday to Sunday and is expected to attract over 1000 university students from around the globe. 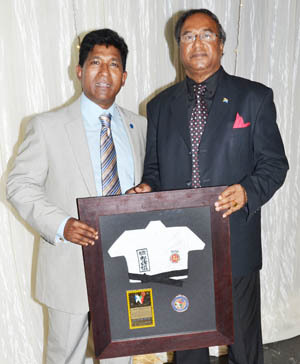 Protea head coach Brando Pillay who put the SKISA Superstars university team through some rigorous coaching clinics before their departure on Sunday said that Yashveer the rest of the team were fighting fit and in peak form “I expect our USSA team to bring back gold medals with world student titles “ concluded the head Protea coach Brando Pillay. 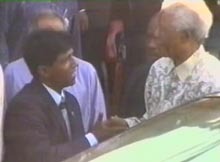 moreover I promise to continue my work in the field in endeavouring to alleviate poverty amongst the previously disadvantaged and underprivileged communities“ concluded the lifetime achievement awardee Richard Naidoo. 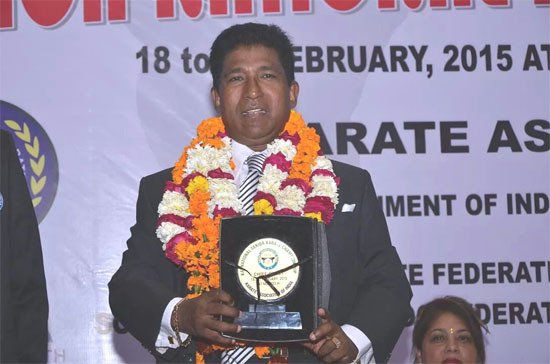 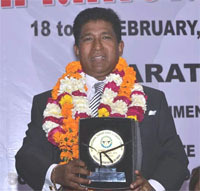 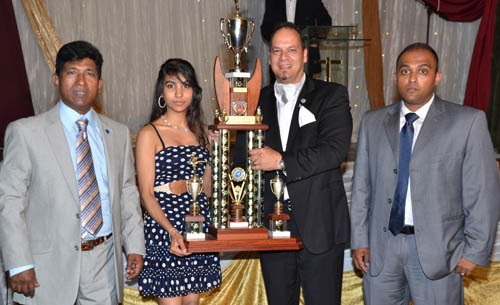 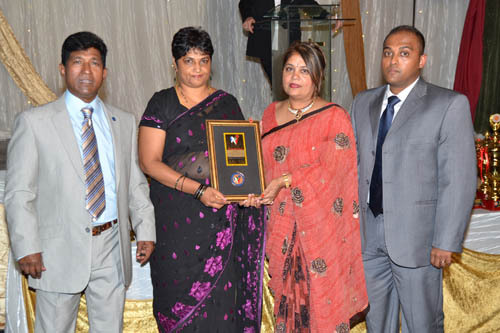 “I am very grateful to Kyoshi Sonny Pillay and the SKISA organisation for honouring me as this award is indicative of the progress of the Daylee Independent school over the years it has been in existence “ said the very modest awardee Daya Naidoo. 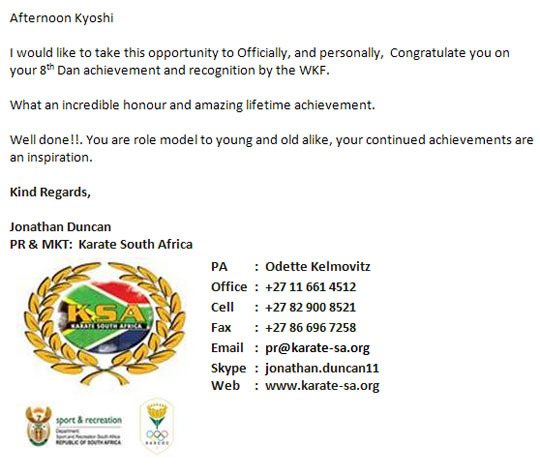 On behalf of WSKF South Africa we would like to congratulate you on your 8th Dan recently awarded by WKF. 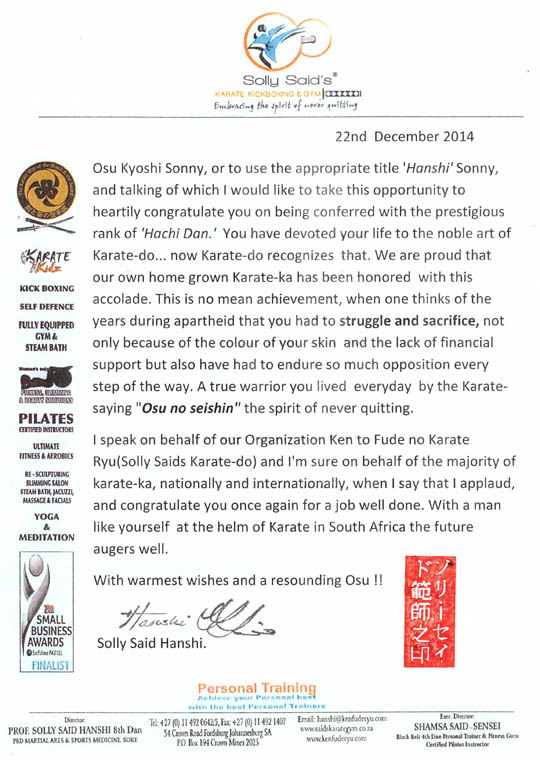 Your effort in trying to unite karate South Africa obviously has not gone unnoticed. 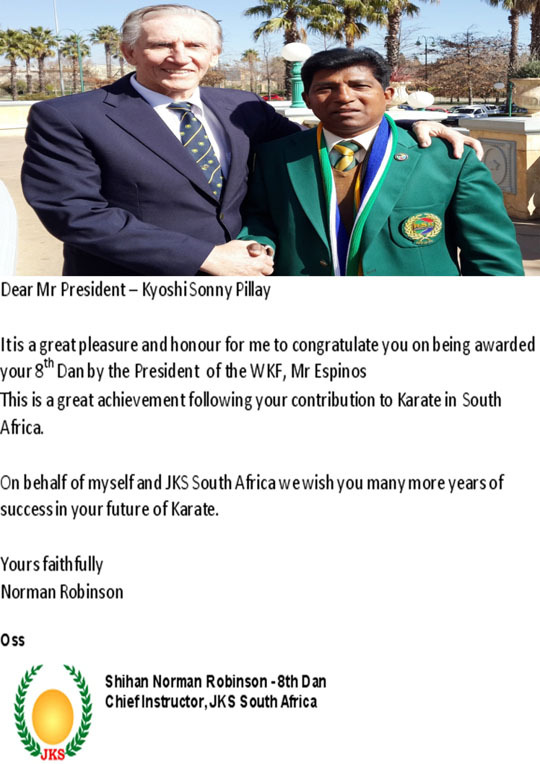 I am sure that all members of SKIF South Africa and members of other karate organisations are proud of you.